Heavy duty cast brass adapter for Industrial and Fire Department use sizes 1/4" through 4 1/2". 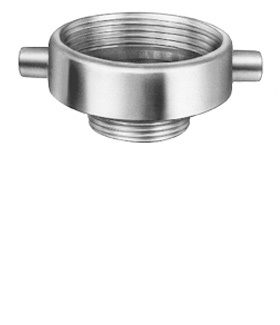 Pin lug wrenching feature supplied with limited sizes available with rocker lug. Long handle available in limited sizes. Consult factory.